High traffic closed spaces shared by numerous employees, such as break and lunch rooms, are well-documented germ hot spots and likely contribute heavily to the increasingly high number of building occupants identifying the workplace as the source of their illness. 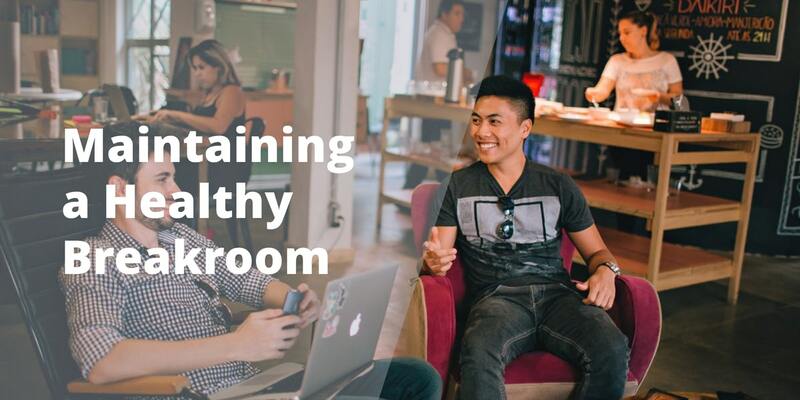 Shared common areas inside of buildings, such as break rooms and dining areas, are hot spots for the transfer of numerous germs and dangerous bacteria from otherwise benign surfaces to human occupants. According to recent research, an estimated 44 percent of the U.S. workforce had the flu last season with nearly half of them identifying the workplace as the most likely location where the virus was picked up. According to a recent survey Staples conducted of workers throughout the United States, 44 percent had the flu last season, and nearly half of those people (45 percent) believe they caught it from a co-worker. Moreover, employees report taking an average of just 2.7 sick days to recover from the flu, meaning they’re coming back to work when their disease is at its most contagious (i.e., three days after symptoms first occur). Employees coming to work sick - Regardless of your organization's stance on sick days, statistically speaking, workers are likely to go in contagious at some point. General cleanliness - The overall cleanliness and infection control strategies employed for enclosed shared workspaces, especially during cold and flu season, has a dramatic impact on worker health. Hygiene product availability - The availability of personal hygiene products in shared facilities spaces, such as soap, paper towels, and hand sanitizer, increases the likelihood of occupant use before eating, which significantly decreases the risk of spreading or acquiring unwanted germs and illness. Educating them through training and reminder posters regarding germ hot spots and the importance of hand hygiene, as well as the dangers of socially unacceptable behavior, such as leaving food in the refrigerator too long, or improperly cleaning up after themselves. Equipping the breakroom with supplies that allow occupants to quickly sanitize their personal break or dining area, such as green disinfectant wipes, dish soap, and regularly laundered microfiber towels instead of disgusting, germ-ridden sponges. Second to that is the quality and regularity of the cleaning schedule, which should meet the needs of the space based on average traffic--the more people coming in and out, the more often the area will need to be serviced--as well as meet the requirements of cleaning for health first to avoid introducing toxic chemicals into the air, which can be far more dangerous than the germs they are removing. Finally, a well trained custodial team is necessary to avoid common mistakes, such as surface cross-contamination and product under or over dilution to ensure the space is adequately sanitized and absent toxic residue that can cause far more harm than the cold or flu. Maintaining the health and safety of your facilities shared work and leisure spaces through a combination of well-organized high-performance cleaning initiatives, occupant education, and the availability of personal sanitation and disinfection tools will significantly reduce the instance of workplace acquired illness and it's associated long and short-term financial consequences. For organizations that lack the resources to adequately staff, train, and equip a facilities maintenance and custodial team necessary to meet the rising demand from workforce talent regarding the quality of their workplace, as well as the types of chemicals and cleaning processes employed in their care, outsourcing is the best, most cost-effective decision. If you would like more information regarding the importance of maintaining clean, safe, and healthy shared break and lunchrooms, or would like to schedule a free, no-obligation onsite assessment of your facilities cleaning and infection control requirements, contact us today for a free quote!